Duration: 1 hour 15 mins. 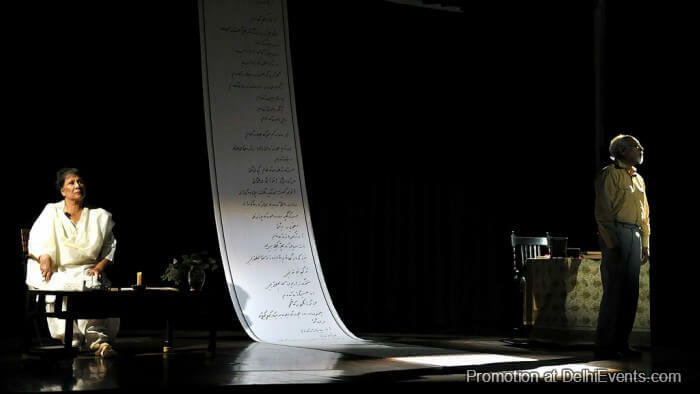 Celebrated Urdu poet Faiz’s letters to his British wife Alys are brought alive on stage by veteran theatre actors Salima Raza and Banwari Taneja. Convicted under the Rawalpindi Conspiracy Act, Faiz spent the years between 1951 to 1955 imprisoned in Pakistan. During this time, he exchanged correspondence with his wife reflecting a promise of hope and romance that lingers...just a few days more, my love.